Courtesy of Eakin Group LLC, Ed Eakin. 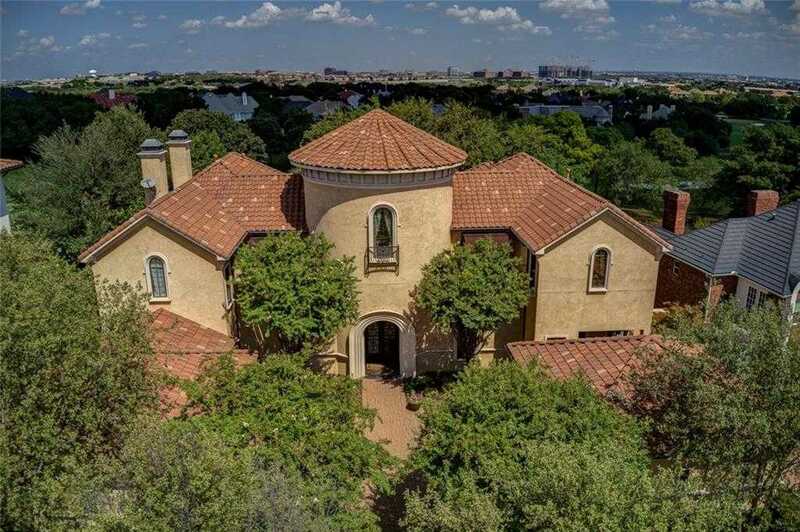 Spectacular Mediterranean home located on the 16th hole of Cottonwood Valley across the from the Four Seasons Resort and Club in Las Colinas. Built in 2006 in an exclusive gated community with a four car garage, pavestone driveway, clay tile roof, three fountains and new zoysia grass in the front yard. Beautiful kitchen with stainless steel Viking appliances including 6 burner gas cooktop will be especially appreciated by the chef in the house. Make sure to check out large room on 3rd floor with Big views! Second floor includes 3 bedrooms, two baths, huge media room with bar, exercise room, hidden office. Owners retreat off master bath has jacuzzi and fountain. Priced under recent appraisal. Free Golf Cart! Please, send me more information on this property: MLS# 13938631 – $1,270,000 – 1709 Cottonwood Valley Circle, Irving, TX 75038. I would like to schedule a showing appointment for this property: MLS# 13938631 – $1,270,000 – 1709 Cottonwood Valley Circle, Irving, TX 75038.